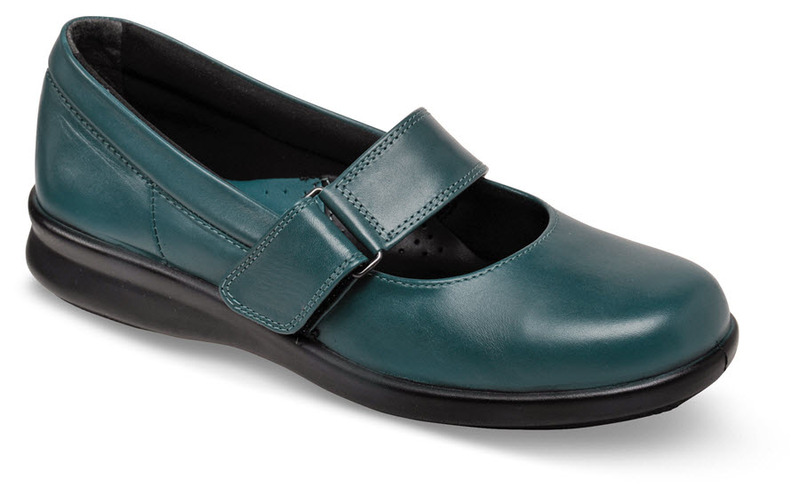 \bThe easyB teal "Florence" mary jane is made in England in widths to 6E. It has an extra-wide self-securing strap and is lined with soft fabric. The removable leather-covered insole allows you to adjust fit or make room for your own orthotics. Built-in air bubbles cushion the lightweight outsole. Made in U.K. sizes in women's 2E, 4E and 6E widths. Originally $149.95. Limited stock in sizes equivalent to U.S. sizes indicated.